You know you want some. Photo by Flickr user Michael Spencer. This Saturday, October 9, 2010, the Anacortes Chamber of Commerce will host Oktoberfest at the Port Warehouse. 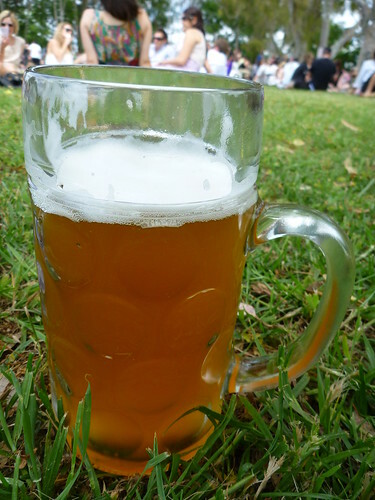 Anacortes Oktoberfest – “Beer on the Pier” – promises to be good afternoon for beer lovers. Thirty breweries from around the Northwest will be pouring tastes of their specialties. The beer at these festivals always seem fresher and more delicious than normal- although I’m not sure if that’s true or personal perception. This beer festival will be held at the Port Warehouse in Anacortes, at the end of Commercial Avenue. It runs from noon to 6pm, and will also feature live music and a variety of food vendors. For those staying over night in Anacortes, there will be a number of local events on Saturday evening. The $20 advance/ $25 at the door entry fee includes a tasting cup and six tasting tokens; additional pours may be purchased for $1.50 each. 21 and older, must have ID. More information at the 2010 Anacortes Oktoberfest website.